The format we will follow in this post is the same as in the last post : begin by specifically mentioning those stores/brands that we think were good examples, and then give a few instances (without naming the brand) of those that were average or less than satisfactory. Both brands had a lot in common – highly knowledgeable staff that were persuasive without being pushy, and were sensitive to consumer problems and preferences. Lancome: Allow you to take your time examining products on the shelves, answer your questions and gently nudge you towards discussing your skin, it’s health and your skin care routine. From there it’s just a small step to using the viewer- with-magnification (that’s what I call it) to show you the blemishes / defects on your skin. And that device is effective ! It took every ounce of my self-control to walk away without buying a bushel of products. Mac: Spent time with us, showed what would suit our skin the best; also, taught us how to use some of the products. These stores had knowledgeable staff, but not in the same class as the two mentioned above. At another store, the sales assistant had no knowledge of the difference between products from two different ranges that were priced a few thousand rupees apart. After much prodding, she remembered that the expensive one had a different ingredient but she could not explain the benefit of this ingredient to us. Finally she told us that it was more expensive and that was the only difference! At one store, when I picked up a bottle of moisturiser and asked about the price, the sales assistant told me that I should use a product meant for older women only, but then didn’t give me any details as to how it would benefit my skin (even my 5 year old nephew knows enough to say, “big people’s things are for big people only, and small people’s things are different”, but from anyone older, I expect details). Our verdict : The performance of staff at stores in this category was so varied that we’d hesitate to give an overall grade. Some stores get an A+, the rest get a C-. Entry filed under: Branded Retail, Luxury Goods, Observations, Retail. 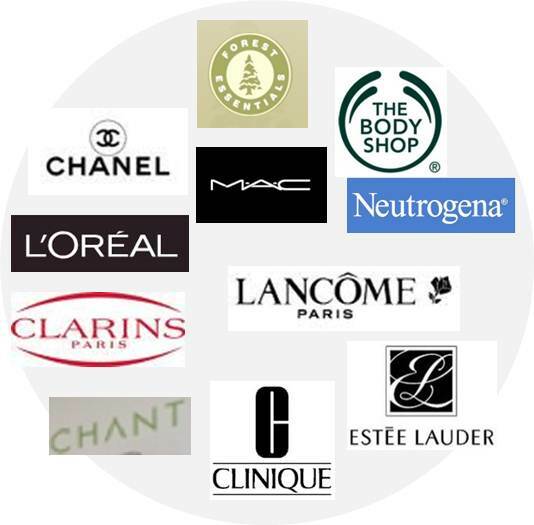 Tags: Chambor, Chanel, Clarins, Clinique, cosmetics, Estee Lauder, India retail, Loreal, makeup, Neutrogena, Revlon, sales assistants, sales training, salesperson, skincare. she called you ‘older’ to your face?! Sighhh, yes, she did. and in a tone which made me feel about a million years old. You’re enjoying this, aren’t you, you mean person ! Nevertheless, nice to have you visiting and commenting on the blog. Thanks for your comment and wishes. Glad you found it useful. Keep visiting or subscribe to our blog to receive email updates. I totally agree about the Mac experience. I buy ‘special ocassion’ make-up from them since they are the only one who test it out on me and show me how to use it. I love Body Shop’s products but their sales people in some stores are very good and in some are not all that good. I guess they are still working on their consistency. Nice to see your comment – a) validates our experience / market work and b) adds one more data point to our knowledge of how women buy cosmetics.